Inevitably, patients come to our offices to have problems solved. Whether they are focused on their overall health and well-being or struggling with pain and symptoms, they are seeking the advice and care from a trusted professional. Building that trust and engaging the patient are the cornerstones of a successful practice. 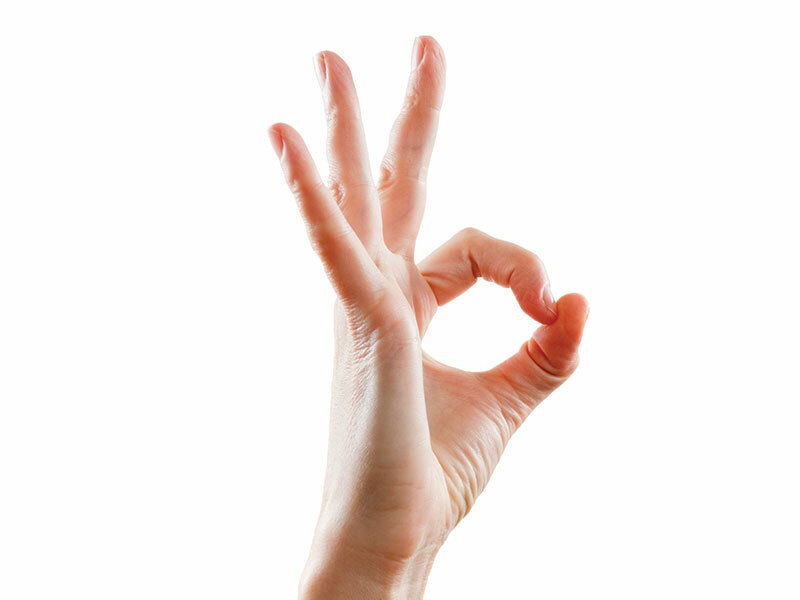 If I asked you to make the OK sign with your left hand, you would touch your index finger to your thumb while the other fingers are arranged in three layers. These three fingers represent the different layers of the spinal core. The top, or outermost finger represents the muscles that wrap around the spine. The middle finger identifies the spine while the third finger represents the spinal nerves and dural wrappings deep within the spinal core. The essence of successful chiropractic outcomes and a successful, thriving practice comes down to one concept: Get your patients to understand that their problems have gone beyond the muscles and movements of the spine and are affecting the nervous system, which connects their brain to all functions in their body while keeping them alert, alive and happy. Neuro-Functional testing, designed to identify deepening stress reactions within the spinal core, uses sensors, calibrated to detect slight variances in the firing sequences of the motor and autonomic nervous systems. 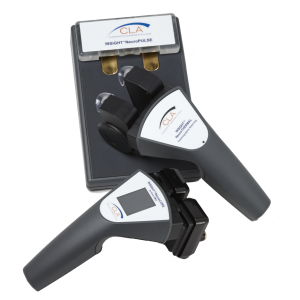 A practitioner can now gather enormous information in less than 3 minutes by scanning the spine using CLA’s INSiGHT EMG and INSiGHT thermograhic technologies. A seated EMG scan pinpoints where the body has lost the ability to support itself against gravity and shows where muscle energy is being wasted. Increased or decreased muscle tone and ineffective muscle control are instantly visible when an EMG scan is reported. Gravity is a constant force, challenging muscles along the spine at all times. Surface EMG was developed to detect tiny shifts in the firing of spinal muscles which can be altered from injury, stress and poor posture. CLA’s INSiGHT sEMG is the only technology of its kind to compare a patient’s results to a chiropractic database. A doctor can now positively tell whether the patient is holding their adjustments and keeping the spinal core in balance. The INSiGHT EMG is so versatile that testing can be done while standing or in dynamic mode to evaluate the coordination and energy management of spinal and other joint movements. Scan reports allow you to show the patient the actual distribution and flow of motor nerve energy as well as areas where muscle energy is being wasted and how fatigued a patient’s muscle system is. A deepening stress response can progress to affect the spinal autonomic nerves, which control the glands, blood vessels and organs. The overall effects of chronic stress have gotten past layer one and two of the spinal core and are interfering in the body’s nerve control system of layer three. Scanning the spinal regions for temperature variations is a validated and reliable way to show how spinal problems are involved in all aspects of a patient’s health. If the patient’s body is locked in a vicious cycle of stress and pain, the problems can extend to the organs and glands, leaving them “sick with stress”. In under 30 seconds, an entire spinal nerve system can be evaluated using the remarkably engineered NeuralThermTM scanner. 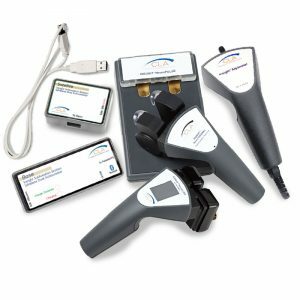 Its wireless design and cloud-based data collection make this the ideal instrument to be used tableside in the adjusting rooms as well as at public or corporate health screenings. These two spinal-neural scans work together to instantly shift the patient’s perspective from “feeling towards function”. The painful spine is now connected to their overall health. This critical shift sets the stage for developing the ideal practice scenario: symptom AND health and wellness outcomes, high retention care plans and wellness patient referrals from family, co-workers, neighbors and friends. As the story moves from symptoms to wellness, the next question to be asked, is, “How did stress get to be such a problem?”. Here is where the magic begins for building a lifestyle family practice. When the focus remains on the spine and symptoms, the outcome is a shortened care plan based on the subjective feelings of the patient. However, if daily stress, dietary choices, mental exhaustion, medication usage, postures or traumas are brought into the discussion and their impact can be measured and reported, the care plan outcomes and patient compliance and retention increase dramatically. Chiropractors have long recognized this phenomenon and examined the spine for specific stress reactions called subluxations. A subluxation not only involves the alteration of movements and functions of the spine but also the neuro-functional capacity of the entire body. Subluxations impact all three divisions of the central nervous system: motor, autonomic and sensory, but it is the disturbance and unbalancing of the autonomic system (ANS) that impacts a patient’s state of wellness more than can be imagined. A unique testing protocol, known as Heart Rate Variability (HRV) determines the overall balance and reserve within the ANS. Now, chiropractors can link the effects of unmanaged and hidden lifestyle and environmental stress by including this non-invasive, accurate test in examinations and re-examinations. HRV is widely accepted and extensively researched. Chiropractic studies prove that adjustments on a consistent basis rebalance and recharge the ANS. Including HRV as a standard testing procedure allows the chiropractic office to make the critical shift from pain-based care to family and community wellness. Each of the neuro-functional testing procedures can stand-alone in an examination and help build a greater understanding of the damaging effects of the subluxation. EMG scanning shows how exhausted a patient can be when they lose their muscle tone and remain out of spinal balance. Thermal scanning detects regional reactions to unmanaged stress and connects the spine to organ health and symptoms. Finally, HRV ties together the entire picture of lifestyle and historical stress being managed by the chiropractic care plan. The ideal approach, however, is to combine all three tests and seamlessly report the results with one easy to track number. Spinal-neural function is measured by the combination of EMG and thermal scanning while the overall lifestyle and environmental stress load is evaluated using HRV. The engineers, mathematicians and computer scientists at CLA took the bold step and combined the data from these three separate tests to calculate a single score that relates to the overall neuro-functional efficiency of a patient. This unique calculation, known as the COREscore™ offers an easily understood number that patients can relate and refer to. Care planning, goal setting and clinical decisionmaking all become simplified when the COREscore™ is implemented. Patients can now evolve from pain based care and remain focused on neuro-functional wellness care, extending their ability to refer their families and other community members regardless if they have symptoms. A chiropractor’s rightful place in any community is to become the trusted advisor for the natural management of stress and wellness. A healthy and well-adjusted community understands the devastating effects of undetected and unmanaged subluxations. They are inspired to follow a drug-less, active and thoughtful approach to organizing their health and vital energy resources. The inclusion of evidence-based, neuro-functional testing technologies brings this message to life. With the evolution of the COREscore™ reporting, patients and generations of their family can be inspired to begin the journey to recovery and wellness in a chiropractor’s office.